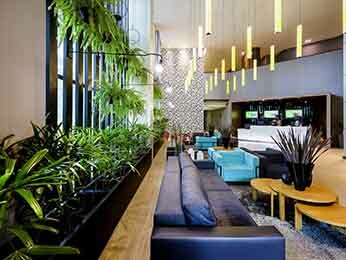 Brasilia is an important business travel destination. The city was projected and built in the 50´s and became the only city in the 20th century to be recognized as a national historical heritage site by UNESCO. 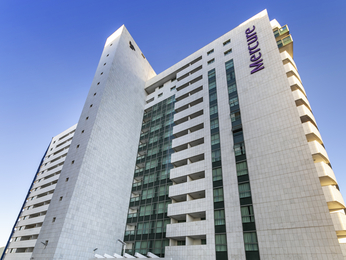 Mercure Lider and Mercure Eixo hotels are located in the North Hotel Sector, 5 minutes away from the Esplanada dos Ministerios, 500 meters away from the Ulysses Guimarães Convention Center and easy access to the bus station and Brasilia International Airport. For travelers interested in getting to know Brasilia´s main tourist attractions, our hotels are near the Brasilia Cathedral, Nicolândia Center Park, Eixo Monumental, Torre de TV, restaurants, bars and cultural centers. If you are looking for comfortable hotel rooms in Brasilia, book your reservation in a Mercure hotel and join our fidelity program Le Club AccorHotels. We guarantee the best prices in our website!